Toys "R" Us has named Phil Newmoyer as its new CIO, filling a key position for a toy retailer struggling to compete with Amazon.com and other ecommerce retailers. Newmoyer, fresh off a two-year stint as CIO of Serta Simmons Bedding, started his new role Monday and is based in the company's Wayne, N.J., headquarters. A Toys "R" Us spokeswoman told CIO.com that Newmoyer will "lead the IT portion of our ecommerce platform transition work in addition to other strategic initiatives, including global system standardization and the development of customer-facing technologies to make our stores easier to shop." Phil Newmoyer is new CIO at Toys "R" Us . The ecommerce transition is of paramount importance, laying a foundation forthe company’s future digital activities. The company is implementing Oracle ATG software to fuel toysrus.com, babiesrus.com and FAO.com. Newmoyer has extensive experience working with Oracle software: His IT team at Serta Simmons won the 2015 Oracle Excellence Award for Fusion Middleware Innovationfor streamlining reporting of business analytics. Toys "R" Us' challenges mirror those of most brick-and-mortar retailers. Consumers increasingly prefer to order goods online. Even when they are in stores, they window shop from their smartphones to see if Amazon or another ecommerce provider has a cheaper product in stock. Amazon captured $100 billion in U.S. ecommerce sales in 2015 and accounted for 60 percent of total U.S. online retail sales growth nationwide, according to Forrester Research. Retailers have been revamping their fulfillment centers, inventory management systems and supply chains to offer ship from store, pick-up in store and other capabilities that get goods to consumers as fast and as conveniently as possible. Wal-Mart Stores and CVS are offering curbside pickup. Retailers are also experimenting with anything from beacons to digital displays, often with poor results with the former and mixed results with the latter. Forrester Research analyst Sucharita Mulpuru says that Toys "R" Us could try in-store pickup of online orders, as well as curbside pickup and in-store pickup of orders. It might implement digital displays in stores to keep children engaged as their parents shop. Toys "R" Us, which has been operating without a CIO since Dion Rooney left for HBC Digital last summer, facesadditional obstacles. 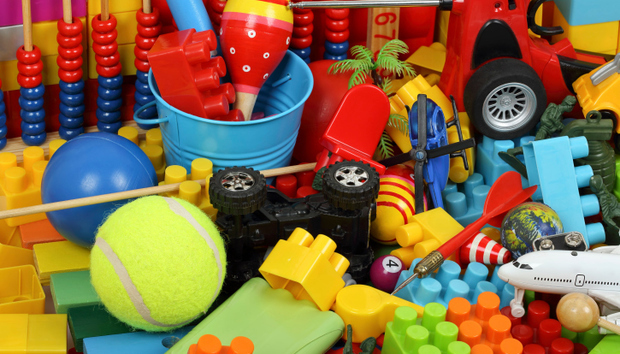 Unlike big box retailers such as Wal-Mart's and Target, toys are its sole draw so it must keep as much of the desirable merchandise in stock, which is next to impossible for popular products during the holiday season. To counter this issue, CEO John Brandon vowed to begin making stores fuller and ordered the creation of an algorithm to better predict when products will run low, the Wall Street Journal reported. Brandon is hardly a newbie to the complex world of bits and bytes, having pioneered digital ordering while working as the CEO of Domino’s Pizza, half of whose orders are now conducted from a mobile phone or the Web, according to the company. But Mulpuru remains skeptical about Toys “R” Us’ inventory management tactics. "There isn't an easy solution for that unless they do something radical like reserve ahead or fill more items from distribution centers with the ability to deliver goods to homes or stores very quickly," Mulpuru says. "The bigger issue is that the buys for holiday toys happen nearly a year out and Toys "R" Us only gets a fraction of what's available." Supply and demand pressures aside, things are looking up for Toys “R” Us, which enjoyed a solid holiday season, fueled by strong sales of Star Wars merchandise associated with "Star Wars: The Force Awakens." Sales rose 2 percent, a welcome report after it reported $1.3 billion in losses over the previous two years. Whatever Toys "R" Us opts to try, Newmoyer will have a lot of work to do. Migrating data from one ecommerce platform – the company has outsourced this capability to GSI Commerce since 2006 -- to a new one is no mean feat. Moreover, no physical retailer has cracked the code on how to use digital technologies such as digital displays, beacons or other emerging technologies that meaningfully connect the smartphone-toting consumer to the products in stores. Prior to joining Serta Simmons, Newmoyer worked as an IT consultant and held IT leadership roles at Amgen, Genmab and NCO Financial Systems.